The	chilly	months	are	almost	here	and	with	them	the	time	to	re-dress	your	home	to	suit these	gloriously	cooler,	crisper	months. 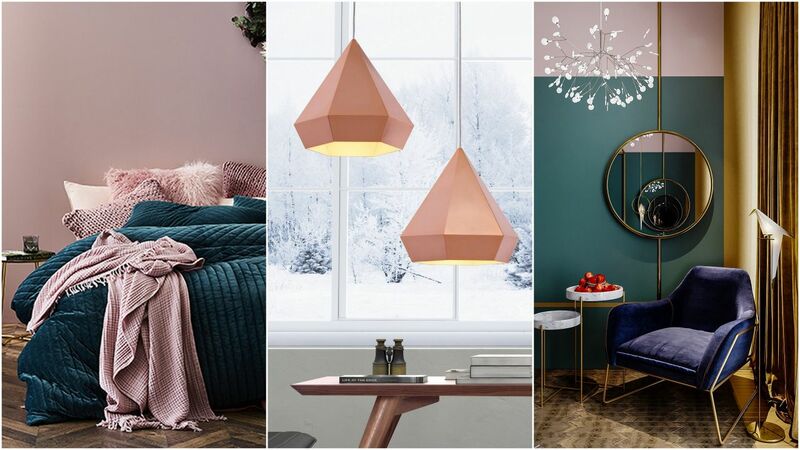 From new	paint	colours to	furniture	choices,	there	is no	escaping	these	winter	trends. Read	on	to	discover	the	key	trends	and	looks	for	Autumn/Winter	2018	to	update	the ambience	of	your	home	while	keeping	you	in	line	with	the	high	street	trends! stone,	and	iron	pieces	to	create	a	well-balanced	interior	space	that	maintains	a	sense	of classicism. For	a	space	that	looks	right	out	of	countryside,	combine	dark	mahogany	wooden colours	with	warm,	yellow	accent	lights	to	create	even	more	depth	and	coziness. 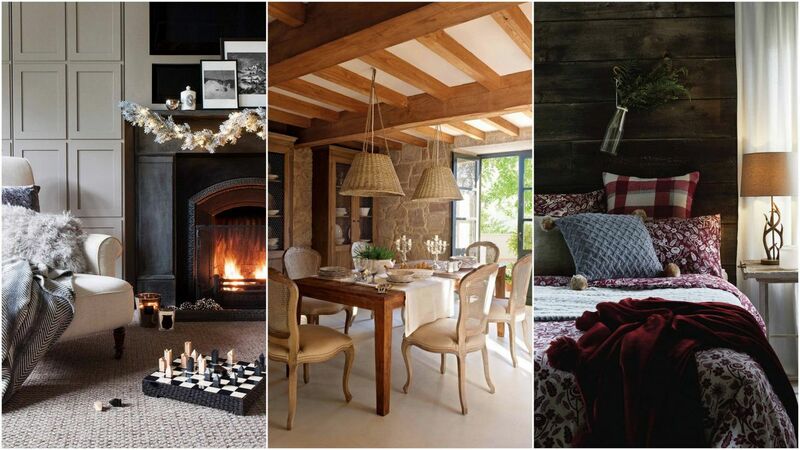 And	do	not forget	to	layer	up	your	spaces	with	chunky	knits	and	snuggly	fur to	reach	the	epitome	of rustic	glam. 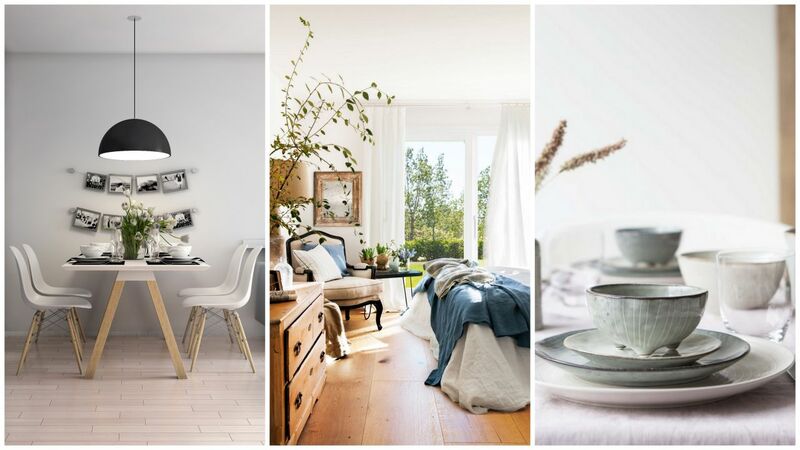 This	look	goes	beyond	stark	minimalism,	perfect	for	creating	an	effortlessly	stylish	decor, this	winter. A	modern	take	on	the	ever-popular	Scandinavian	look,	the	driving	force	for	this décor	style	is	‘Simplicity,	Ultra	Functionality	and	a	connection	with	the Outdoors’. Layering up	varied textures	to	add	depth	and	at	the	same	time creating	an	inviting	space	to	hibernate from	the	darkness can	be	of	key	here. Go	for	gentle	muted	colour	palettes for	both accessories	and	furniture to	lend a	softer	edge	to	the	otherwise	dark	winter	months, as influenced	by	the	Scandinavian	way	of	life. Embellishments	like	tassels	and	pom	poms	adorn the accessories	in	this	trend. Ooze	decadence	with	this	look coming	right	out	of	20th	century. This	trend	champions	the ‘Maximalist’	look	where	more	is	more and showing	an appetite	for	decorative	pieces can totally	transform	interior	spaces. Amalgamating	fabrics	and	furniture	pieces	that	mix beautifully	to	give	an	opulent	impact	best	describes	this	style. Luxe	and	plush,	velvet	is	the texture	that	will	add	coziness	to	your	spaces	while	brass	accessories/	highlights	will	act	as crowning	pieces of	jewels	adding	life	to	this	entire	décor	theme. Stepping	out	of	gloomy winters,	spaces	decorated	with	‘Luxe’	are	sure	to	be	moody	and	chic	while	standing	apart from	the	rest. Which	Look	Book	will	create	your	ideal	home?